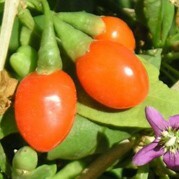 Goji Berries have been used in Tibet for at least 1,700 years. Tibetan Medicine includes these berries in the treatment of kidney problems, liver problems, to lower cholesterol, lower blood pressure, cleanse the blood, eye problems, skin rashes, psoriasis, depression, allergies, insomnia, chronic liver disease, diabetes and tuberculosis. Goji Berries are also used by the people of Tibet to increase longevity and as a general health strengthening tonic. There are yearly celebrations held in goji's honor. Many of the people in some areas of Tibet and elsewhere who regularly eat the berries are known to commonly live to be over 100 years old with no health problems. Many people that now eat Goji berries on a daily basis notice improved eyesight, restoration of hair color, mood enhancement, noticeable improvement in energy levels, better sleeping habits, stronger immune fuction, and more zest for life. Legend has it that Goji berries were discovered by a doctor during his study of an ancient society living in a remote region of the Himalayas. He found that some members of this society lived long lives in good health for 100 years or more, had no grey hair, and never lost their teeth. Eventually he recognized that all of these centenarians lived near certain water wells over which grew Goji berry vines. As the berries ripened, they fell into the water wells where their nutrients dissolved in the water which was subsequently drunk by the people living nearby. It became clear that the berries added something to the water which made those who drank it robustly healthy and live to a ripe old age. Prof. Li Qing Yuen is documented as being the oldest person to have ever lived in recorded history. Born in 1678 and living to 1930, he was documented by the Government of China as having lived to 252 years of age. Twice he received Longevity Awards from the Government. It is said he ate Goji berries on a regular daily basis. Goji berries are rich in antioxidants, particularly carotenoids like zeaxanthin. 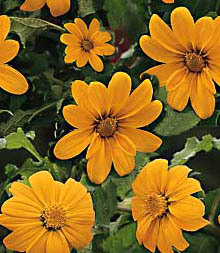 One of zeaxanthin's key roles is to protect the retina of the eye by absorbing blue light and acting as an antioxidant. Increased intake of foods containing zeathanthin may decrease the risk of developing age-related macular degeneration (AMD), the leading cause of vision loss and blindness in people over the age of 65. Goji berries are known to have a unique polysaccharides known as “Master Molecules” – LBP1, LBP2, LPB3 and LPB4 – which work together to fortify the immune system, and are not found in any other known plant. Then polysaccharides also stimulates the pituitary gland in the anterior of the brain to produce more Human Growth Hormone, the master hormone in our bodies. HGH is know to slow down, and even reverse some of the effects of aging. For centuries, people in Asia that have customarily eaten Goji berries have been documented to live longer and healthier lives with little or no incidence of heart disease, stroke, high blood pressure, cancer, diabetes, Alzheimers disease, fibromyalgia, lupus, multiple scirosis, or a host of other "dread" diseases that are afflicting many of the Industrialized Nations of the world. The Goji Berry is also being called the world's most powerful anti-aging food. 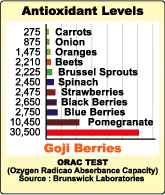 It is rated #1 on the ORAC scale (Oxygen Radical Absorbance Capacity), which measures the antioxidant level in foods. Beta-Sitosterol, an anti-inflammatory agent. Beta-Sitosterol also lowers cholesterol. Cyperone, a sesquiterpene that benefits the heart and blood pressure, alleviates menstrual discomfort, and has been used in the treatment of cervical cancer. Physalin, a natural compound that is active against all major types of leukemia. 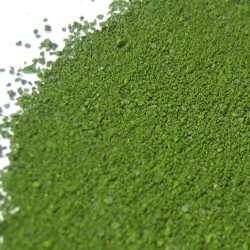 It has been shown to increase splenic natural killer cell activity in normal and tumor-bearing mice, with broad-spectrum anti-cancer effect. It has also been used as a treatment for hepatitis B.
Goji berries are high in essential fatty acids, the healthy omegas, which are required for the body's production of hormones and the smooth functioning of the brain and nervous systems. In particular, linoleic acid is abundant. Modern science has shown that this bright red berry not only contains extremely high levels of antioxidants, vitamins, and minerals, but also contains many unique phytochemicals, polysaccharides, and complex compounds that scientists are just beginning to understand. We only carry superior grade Raw Goji Berries, the highest quality Goji Berries available. Our Goji Berries are Wild-Harvested and are naturally Sun-Dried, preserving their remarkable nutrients. We carry Goji Berries that are USDA Certified Organic & Kosher. They are tested in independent food testing laboratories in the US to make sure the berries are pesticide and chemical free. We carry the goji berries in 1 and 5 lb bags. Eat 1-2 handfuls of dried goji berries everyday. Click here to buy Goji Berries.